This new hymnal includes more than 850 hymns, psalms, and contemporary and global songs, along with prayers and readings that can be incorporated into any church service. Imprinting is available at $2.00 US per copy (1-10 copies) and $1.50 US per copy (11+ copies). Please call 1-800-333-8300 or e-mail us to request imprinting. 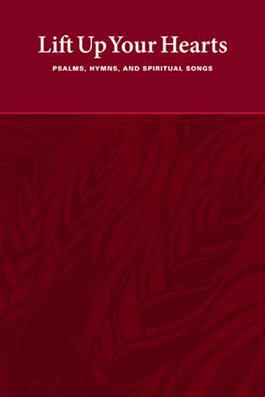 This hymnal includes more than850 hymns, psalms, and contemporaryand global songs, along with prayers and readings that can be incorporated into any church service. For worship leaders, Lift Up YourHearts offers a broad selection of hymns and worship songs. Inaddition, there are more than 150 prayers and litanies. Resources forspecial services include morning, evening, and night prayers, and resources for pastoral care. Churchmembers and families can also use the prayers and songs in family and personal devotions.